From Weird Wheels series 1. 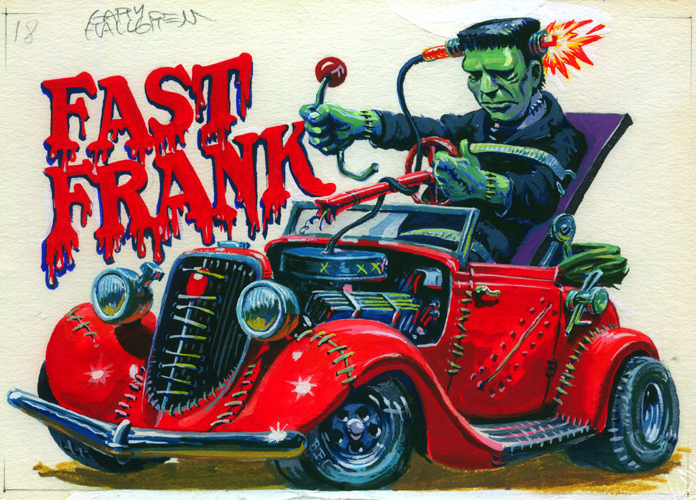 As I recall, The Monster is driving a '34 Studebaker, it looks like a nice old skool rat rod, don't it? NFS from me--art is in a private collection.